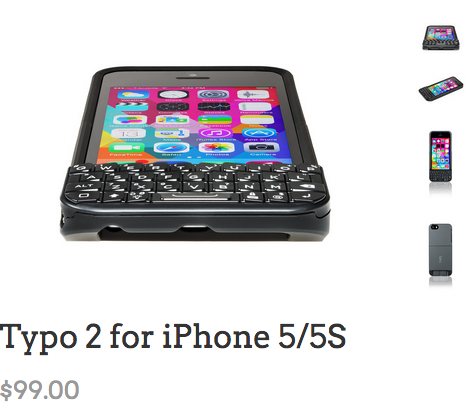 Typo, which makes add-on keyboards for iPhones, got off to a rocky start this year when a federal judge slapped it with a sales ban for violating BlackBerry patents. Now, the Ryan Seacrest-backed venture is in even bigger trouble. On Thursday, U.S. District Judge William Orrick agreed to let [company]BlackBerry[/company] proceed with contempt of court proceedings after the Canadian phone maker showed that [company]Typo[/company] has been selling keyboards in violation of the earlier order. The bulk of the illegal shipments involved Typo sending keyboards to foreign retailers in Canada, the Middle East and Asia. The judge, however, also called attention to Typo’s sale of 4,008 units to a company related to SMI Investments after the injunction was ordered but before it took effect — suggesting that Typo was illegally working in concert with SMI to skirt the order. The court order also calls attention to a Typo warranty program as a third way in which the company violated the order. According to the ruling, Typo illegally provided around 400 replacement keyboards to existing customers in the United States. As a result of the findings, the judge said BlackBerry could continue investigations into Typo’s sales practices in order to obtain a so-called “show cause hearing” — a legal process that sets the groundwork for a contempt of court order. 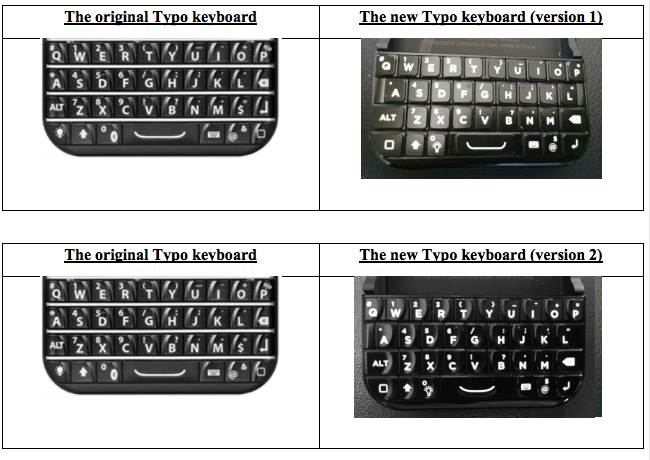 Thursday’s decision also rejected Typo’s request for the court to find that redesigned versions of the keyboard does not infringe the Blackberry patents. According to Orrick, the existence of a “supposedly non-infringing design” was not relevant to the existing injunction. The judge added that Typo would have to bring a separate court proceeding to get an order related to the new designs. Typo must be forbidden in the business(trade), it makes of the violation of patent(certificate) has Blackberry. Blackberry has to ask for damage and interest has typo. Believe it or not Ripley, some can has grammar. I don’t know why a bunch of these kind of gizmos haven’t flooded the market.